Professor Ala-Korpela was granted a Distinguished Talent Visa to Australia in October 2017. He relocated to Melbourne and started working at the Baker Heart and Diabetes Institute in January 2018 as the Head of a new Systems Epidemiology Laboratory. He has been holding a Professorship at the Medical Faculty of University of Oulu (Finland) for 9 years and a Professorship in Computational Medicine at the Bristol Medical School, University of Bristol (UK) for 5 years. He is an affiliate Senior Member of the UK Medical Research Council Integrative Epidemiology Unit, a large alliance of research excellence in systems epidemiology, at the University of Bristol. He also holds an affiliate position as a Research Professor in Systems Epidemiology at the Alfred Hospital, Monash University, School of Public Health and Preventive Medicine. Professor Ala-Korpela is an Associate Editor for the International Journal of Epidemiology. He has published some 200 international peer-reviewed scientific papers, many of which have appeared in the leading journals. His work has been cited some 7000 times with a steep upward trajectory; his papers are currently receiving over 1000 citations per year. He has been invited to give some 20 conference presentations during the last 5 years, including several keynotes and plenaries. He has been a strategic consultant in the UK for the Wellcome Trust in relation to metabolomics in epidemiology and on Defining the UK Roadmap for Biomedical Metabolic Phenotyping. Professor Ala-Korpela’s research focuses on lipoprotein and lipid metabolism, development and applications of multivariate data analysis methods for metabolic phenotyping and risk assessment, and development and utilisation of various ‘omics technologies in clinical and systems epidemiology to study the aetiology of metabolic diseases. He has over 25 years of experience in biomedical research and has pioneered high-throughput applications of serum metabolomics in epidemiology and genetics. 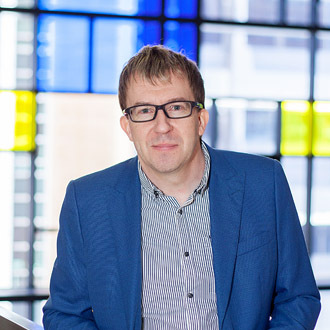 Professor Ala-Korpela is gaining recognition for his advocating of large-scale collaborative research and replication culture to increase the robustness and reliability of metabolomics research. Metabolic profiling – multitude of technologies with great research potential, but (when) will translation emerge?